Using advanced scanning technology and directory restructuring algorithm, Cisdem DataRecovery for Mac can help you to recover lost valuable data, documents, emails, videos, music, photos, and lost partitions from any Mac supported data storage media, including internal/external hard drives, USB drives, SD card, optical media, memory cards, digital cameras, mobile phone (iPhone not included), iPods etc. It's amazingly fast, accurate and a breeze to use. Download now and get back your data from lost, deleted, formatted, logical corrupted situation within the next five minutes. 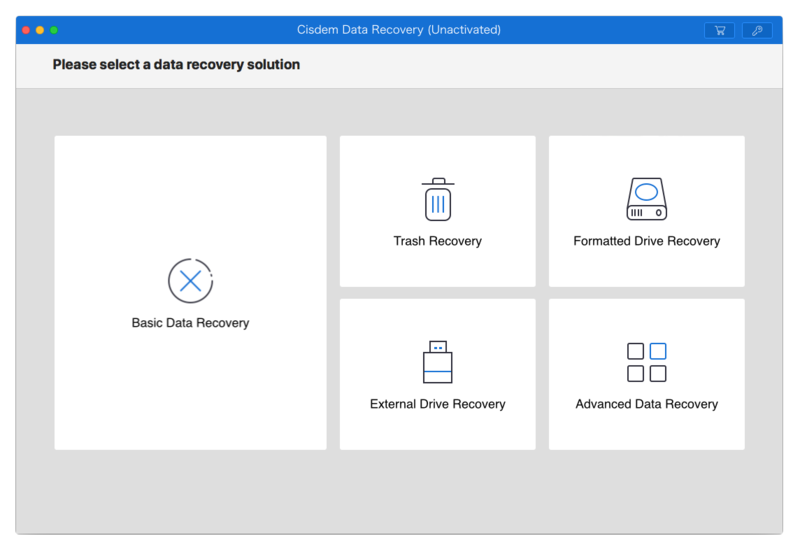 What's new in DataRecovery 3 for Mac? -Estimated remaining time to be used for the whole scanning process. -3 modes to preview scanning results: list, thumbnail and quick preview. -Fluid scanning experience with crash problem fixed. -Improved search result filtering feature by entering file name or sorted by file size and type. -Redesigned intuitive UI to make it easy-to-use. -Four data recovery modes for any situation you may meet: Document Recovery, Media Recovery, Archive File Recovery and Universal Recovery. -Restore lost, deleted, formatted, logical corrupted files from virtually any internal or external storage device. -Fully support HFS+, FAT16, FAT32, exFAT, NTFS, etc. file systems. -Preview files in image, video, audio and document formats.